Y’all. Y’all. 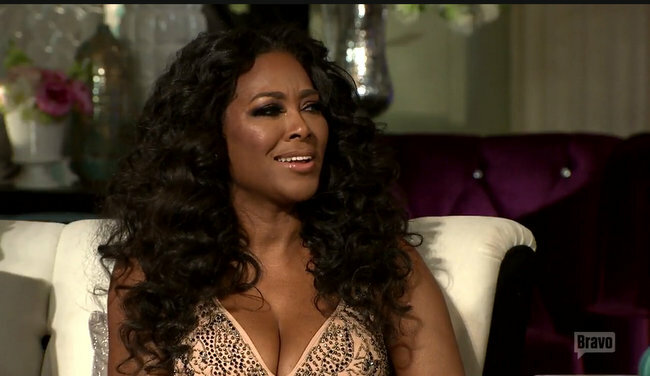 Is it just me, or is Kenya Moore vying to be the most hypocritical housewife in the history of housewives? In asking that question, I am not even taking into consideration the fact that Krayonce has never been a wife, because we all know that’s not a prerequisite with Bravo! After her grand showing on the reunion, where she received more shade from Andy Cohen than I’ve ever seen him dole out, Kenya is back teasing fans about a potential pregnancy and calling out co-star Phaedra Parks for shaming her skin tone. Note to self, it’s fine for the Real Housewives of Atlanta star to talk smack about anyone and everyone, but it’s certainly not okay for any of her cast mates to retaliate. What’s that old adage about not dishing it if you can’t take it? Just kidding! Those rules don’t apply to twirling! After neither confirming nor denying if she’s pregnant on the reunion, Kenya is speaking to Bravo in hopes of putting to rest those pesky rumors. She wants her fans to know that if she is pregnant–or when she gets pregnant–she will let them know if (and when) she is ready. She is also taking the advice of her doctor, however, and she is not ready to disclose whether that doctor is the OB who gave her the good news or a shrink who is earning every penny. TELL US – WHAT DO YOU THINK OF KENYA’S COMMENTS? IS SHE PREGNANT OR JUST LOOKING FOR SOME ATTENTION?